Chervil (Myrrhis odorata): growing, planting, caring. 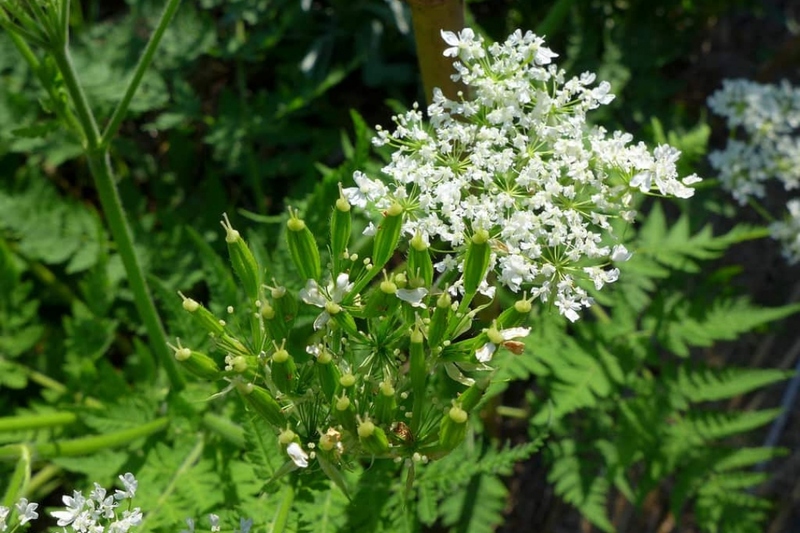 Cicely is a large wild flower with an anise-like smell, that can be grown as a perpetual vegetable. Sowing must be done in the fall to be able to germinate in the spring . Musk chervil seeds need some cold to germinate. Sow in semi shade, in a fresh soil and rich in humus. Sow several seeds in each hole, every 60 cm. Plant chervil in spring, in semi shade, in cool soil and rich in humus. Keep 60 cm between each plant. First soak the root ball in a basin of water, then plant in a hole two to three times larger than it. Put back in some soil extracted from the bottom so that the plant is at the right height, then place it. Re-fill the hole by spreading the soil layers in the order they were taken out. Put some compost on the surface, tamp well, then mulch thickly. After sowing comes the thinning! When the plants have at least four true leaves, keep only one stout every 60 cm. If you have sown in a nursery, it is time to place them in their final location. Water frequently so that the soil remains moist the first month after sowing, in fine mist. Watch out the first drought, and do not hesitate to water it twice a week. In pots, water every 3 days if it hasn't rained. Mulch continuously, with a layer of at least 4 cm, because the chervil enjoys medium dry soils. Fall and spring inputs are usually necessary. You can pick leaves as long as there are some, from April to October. But not all of it suddently either! They do not last long, so consume them within three days.